How beautiful is this gown? This silk printed dress is by Lebanese designer Ziad Ghanem. 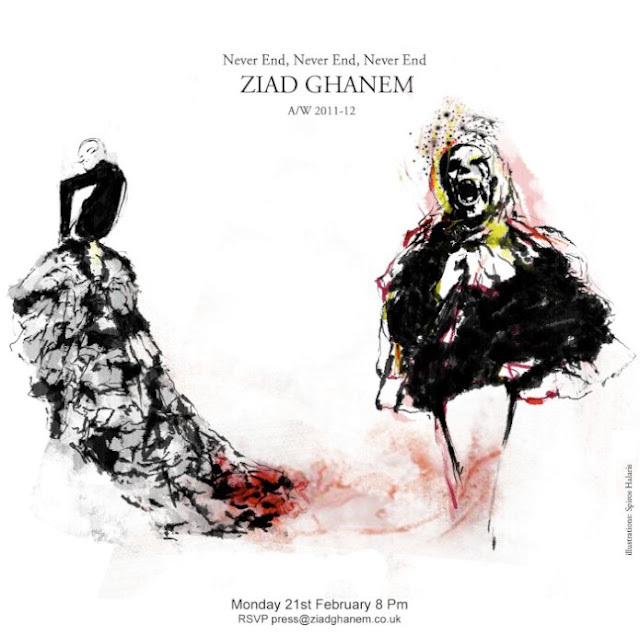 He is presenting his AW 2011/12 collection “Never End, Never End, Never End” on Monday, February 21st at 20:00 during London Fashion Week as part of Vauxhall Fashion Scout. Oh how I wish I was in London to attend this show.